Email Archiving is fast becoming a widely used application in organisations worldwide. With companies from every size and sector, from finance and manufacturing to healthcare looking to archive mails for regulatory use and disaster recovery. 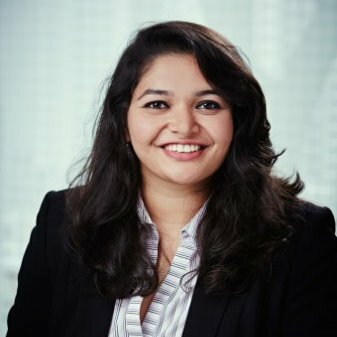 As compliance laws become more stringent, archiving helps organisations segregate and store mails for future reference. The better of the email archiving solutions come with built-in capabilities such as ediscovery, allowing quick search and retrieval of old mail for reference and evidence in legal and contractual disputes or audit reviews. But email is also a source of valuable information for business. So what if several users want to collaborate over a particular mail or several mails to discuss a subject matter, analyze patterns, or pull out information from within a mail for team review? How would such collaboration be possible without creating a confusing clutter of mail exchanges? This is where the Vaultastic – Ideolve connector can come to use! Searching Mail for Audit or Review: One of the main uses of an email archive is for of audit all the email communications flowing in and our of the company. An advanced saved search using a combination of keywords can be used to narrow down the email that contains content, to be audited. The search results (which could be just one or more email messages) can be uploaded to Ideolve and shared with auditors for review. In Ideolve all conversations around the mail will stay on the note along with the original mail. 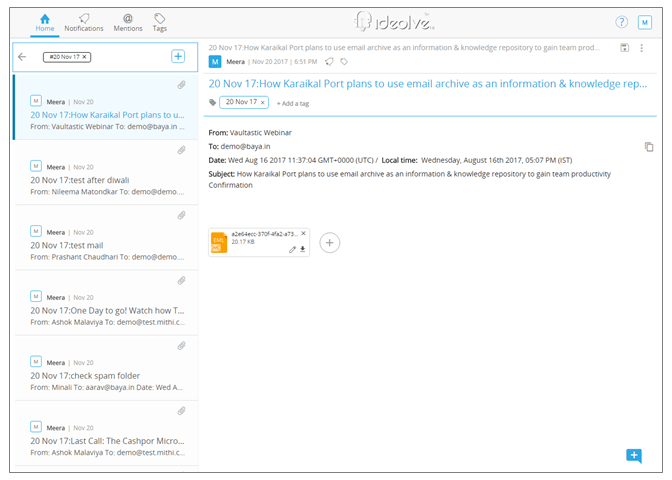 In case of multiple email messages uploaded to Ideolve, tags can be used to mark out the messages that need further investigation or reviews. Data Sharing made Quick and Easy: Consider a case where the team is working on a support ticket. A similar incidence may have been handled in the past, with the relevant information contained in a particular mail. 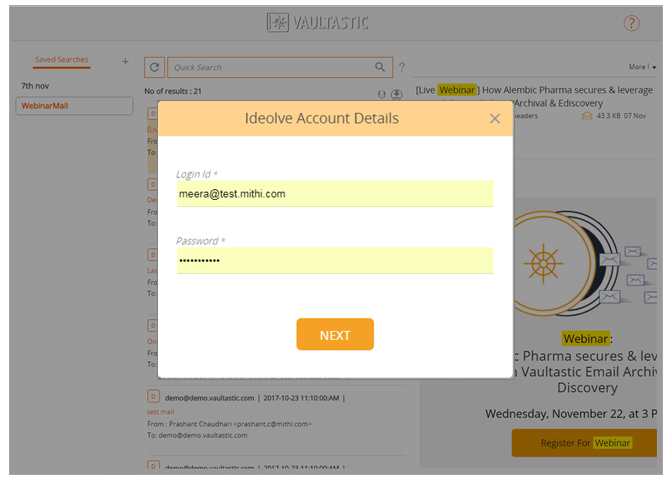 This email message can be searched using Vaultastic’s eDiscovery feature and uploaded to Ideolve. Sharing the note with the team working on the support incidence, can make this information accessible for easy reference and further update. Resulting in the reuse and growth of the company’s knowledge resource. So how does one move email from Vaultastic to Ideolve? 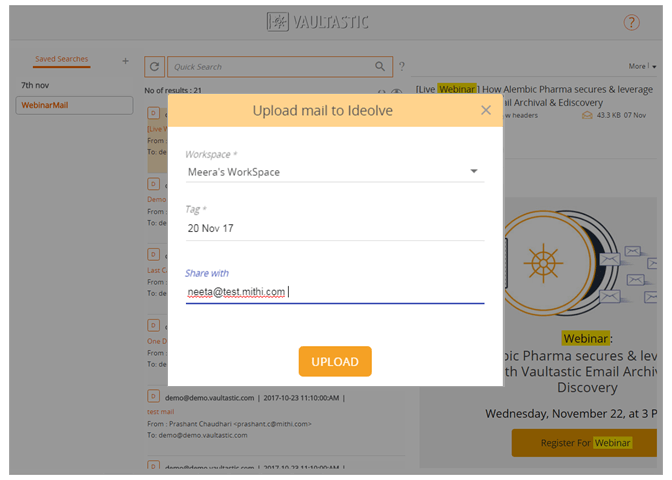 Using the Vaultastic eDiscovery app, you can Upload individual or a set of email messages to Ideolve for further sharing and collaboration. 1. 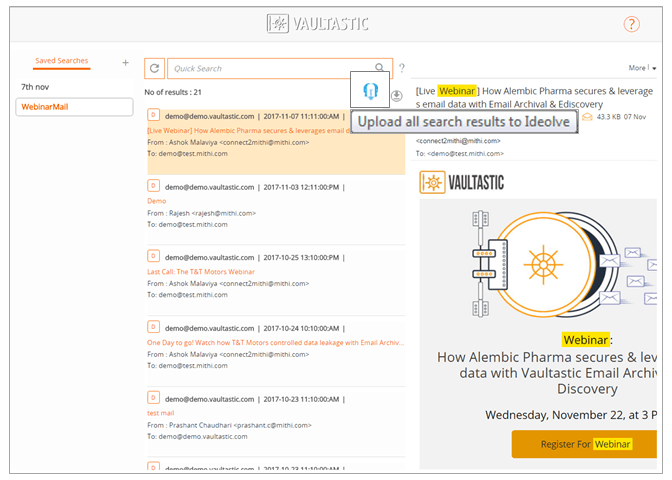 Click the Ideolve icon on a mail or the searched result from your Vaultastic e-discovery page. 2. Provide your Ideolve credentials for authentication. Moving useful and important information from the email archive to Ideolve for reuse, reference, rework or sharing is that Simple! Ideolve helps reduce the email traffic by having all the information relevant to a subject in one note for all stakeholders to see. The team can then easily add information, ideas and insights through comments on the note, with all reviews and discussions taking place in one place. Follow these links to know more about Ideolve and how it works. I Am Already Using Office 365 On The Cloud, Do I Still Need A Separate Email Archiving Solution?